The Healers Rite is an energetic transmission that activates a deep undercurrent of healing energy that gives us the ability to heal ourselves and others. The Bands of Power Rite installs essential protection in the luminous energy field. The protections consist of 5 luminous belts (earth, water, fire, air and light) woven into the fabric of your own energy field. These energies either break down any negative energies coming towards us and then uses that energy to serve us instead of harming us or they deflect the negative energies away from us They are continuously activated. The four organizing principles of creation are planted as seeds into the four lower chakras and then the three archangels, luminous guardian beings into the three higher chakras. These seeds will serve to break down the psychic sludge and heavy energies, residues of traumas that have collected within your chakras from this lifetime and also from past lifetimes. Filaments of light are extended between the visual cortex in the back of the brain and the third eye and heart chakras. This Rite awakens the ability to see the invisible world (auras/energy). The seers rite enables us to be the Witness in our lives. The Seer is not identified with the seen. The Daykeepers are the protectors of Mother Earth, the stewards of the feminine and guardians of the sacred altars of the earth …Stonehenge, Machu Piccu… This Rite brings healing to the feminine within us and strengthens our relationship with the Earth and to the Mother. It also allows us to access the power of the sacred altars for healing. The Wisdomkeepers Rite helps us connect with and heal the masculine within ourselves and also helps us re-establish and restore our relationship to the Heavens and to the Father. They are the guardians of the sacred high mountains. This Rite assists us to step outside time and bring healing to the wounds of former lifetimes. Connects us to a lineage of Archangels that are the guardians of our solar system. The Earthkeepers come under the protection of these archangels and can summon their power to bring balance and healing to any situation. The Earthkeeper has stewardship of the Earth. The Rite of the time to come. Our DNA begins to evolve into Homo-luminous. We acquire stewardship of the time to come. This Rite awakens the Christ and Buddha consciousness within us. Receiving this Rite awakens our God nature. After this Rite we acquire stewardship for all of creation from the smallest grain of sand to the largest cluster of galaxies. Awakens the ability to dream all of creation into being, we become the storyteller. What are the origins of the Munay Ki? The Munay Ki Rites are the shamanic initiations and teachings of the Laika, the Inka shamans of Peru. They claim that the new shamans now must come from the West. It is believed that at this time of humanity’s evolution, there is a quickening and an urgent need to raise the vibration of the planet. Towards this purpose, the initiations were sent out into the world to assist in the upliftment of humanity. Alberto Villoldo, a medical anthropologist, travelled to South America to research the medicine and healing ways of the indigenous peoples of the Andes and the Amazon jungles. So began a twenty five year long apprenticeship that resulted in the gifting of these great teachings to the world. Is it a recent combination of old ideas or does it have a history? Both. The Munay Ki remain faithful to the Andean teachings yet have also been packaged so as to be easily adopted by Westerners. The Munay Ki provide a powerful entry portal for those who wish to explore this rich and deep spirituality. 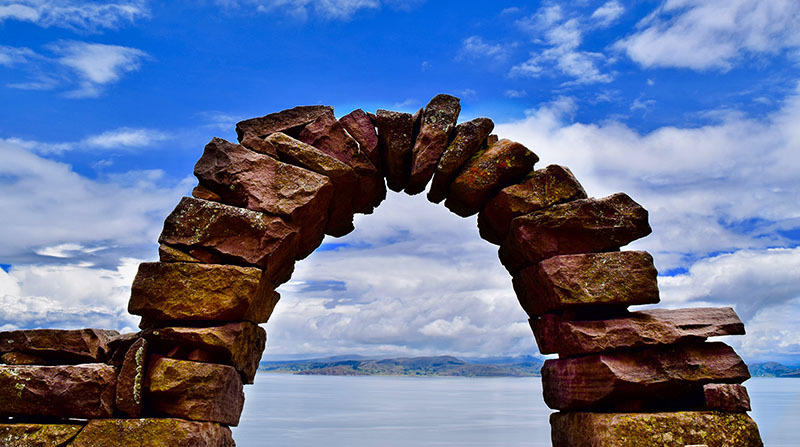 The 9 Rites of the Munay Ki provide the initiate with a complete package of shamanic teachings that can be used to steer our lives into creative and empowered directions. These teachings offer healing, direction and substance to our lives. If we desire to further our understanding or wish to walk the path of the paqo (shaman)ourselves then the Munay Ki offer us a wonderful “base camp” from which we can enter, explore and imbibe from the astoundingly simple and beautiful world of shamanic spirituality. What skills will be gained by participating in the Munay Ki Rites? Although primarily it is for one’s own personal healing and growth, you will also learn to give the Rites to others. You learn about your own energy, how to grow the spirit seeds of the Rites that have been planted within your luminous energy field, how to clear the heavy energy (hucha) that has built up over time in your chakras and in your field, how to deepen and truly feel your connection with the earth and with nature, how to understand, work with and grow your relationship with the five elements that form and inform your being, how to sharpen your visionary skills and live from an alignment of head and heart are just some of the gifts of the Munay Ki journey. Do we become practitioners or is it only for personal empowerment? Both. For some it may simply be a tool to help them grow and heal. Others will want to go beyond personal growth and healing to initiate not only family and friends but also initiate clients who come for healing. Whatever one’s path, the initiations and the accompanying training will enhance the lives of those who are keen to drink from the deep inner well of knowing, wisdom and beauty. What are the practical benefits of being initiated? Here’s how the Munay Ki will help you to ‘grow corn’. It will enhance your existing skills, understanding and healing applications enormously. The Munay Ki teachings are a gift that will bless every aspect of your life. It serves to connect you to the earth in such a way that your belief in an abundant universe and a benevolent mother comes from a direct knowing and not just from the level of the mind. It will change the way you perceive yourself, your life and your world. An uplifted, non-judgemental and loving perspective will in turn create harmony in all of your relationships. This change of perception is a liberation from limited ways of living and loving. The best long term benefit is the sense of happiness and enthusiasm for life that arises and stays. A wonderful knowing that it is you that has courageously dreamed it into reality through your own intent and the innate power of creation that is available to each and every one of us. Here is a list of the nine initiation rites followed by important information about the history and emergence into the West of these sacred rites.